There are no comments for The Radcliffe Camera. Click here to post the first comment. Radcliffe Camera at twilight. 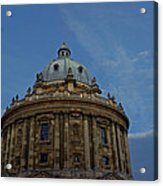 The Radcliffe Camera is a building of Oxford University, England, designed by James Gibbs in neo-classical style and built in 1737�1749 to house the Radcliffe Science Library. The Library's construction and maintenance was funded from the estate of John Radcliffe, the royal physician. 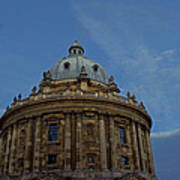 The Camera now functions as the main reading room of the Bodleian Library. 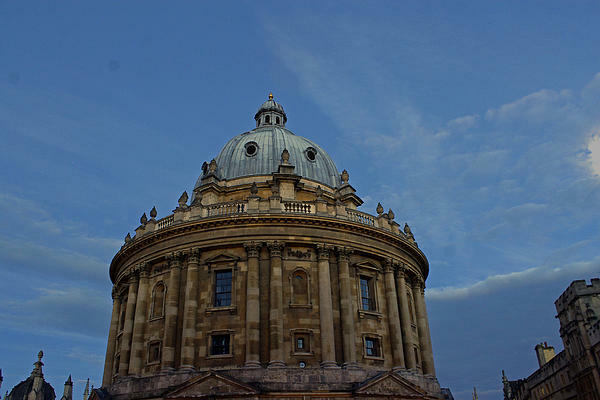 The finished building holds some 600,000 books in underground rooms beneath Radcliffe Square.